Keywords: magnetotherapy, functional-vegetative diagnostics, vegetative homeostasis, vegetative level, vegetative coefficient. Background. Disorders of autonomic nervous system caused up to 80% of functional disorders. There is no information about the influence of magnetotherapy (MT) on the indicators of vegetative homeostasis, which disturbance is a cause of functional pathology. Objectives. The aim of the study is to investigate vegetative rehabilitation trend of MT in various initial conditions of functional-vegetative disorders. Methods. Functional-vegetative diagnostics method by V.G. Makats was chosen as a method of control of MT impact. The diagnostic complex BIOTEST-12M was a technical tool. 38 children of different age and gender treated in the Department of Physiotherapy of Vinnytsia Regional Children Clinical Hospital in 2016-2017 were involved in the research. The patients were divided into 7 groups according to the levels of functional vegetative homeostasis. Results. MT had a different effect on vegetative activity as well as systemic and functional dependence, according to the coefficient of functional vegetative homeostasis. The most positive effect was evidenced in a group with a significant parasympathicotonia (group 1). In the group with severe sympathicotonia (group 6) it had negative effect. There were no gender and age-related characteristic features of the influence of MT on the dispersion of vegetative levels. Conclusions. Rehabilitation expediency requires maintenance of functional vegetative homeostasis at the level of FcP-VB-FcS in conjunction with functional-vegetative diagnostics using the method of V.G. Makats. Magnetotherapy can be recommended to be used only for patients with significant and expressed parasym­pathicotonia. Veyn АМ. Vegetative disorders: Clinic, Treatment, Diagnosis. Moscow: МIА; 2000. 752 p.
Messina A, Monda M, Valenzano A, Messina G, Villano I, Moscatelli F, Nigro E. Functional Changes Induced by Orexin A and Adiponectin on the Sympathetic/Parasympathetic Balance. Frontiers in Physiology. 2018;9.259:1-6. Chang WH, Lee IH, Chi MH, Lin S-H, Chen KC, Chen PS, Yang YK. Prefrontal cortex modulates the correlations between brain-derived neurotrophic factor level, serotonin, and the autonomic nervous system. Scientific Reports. 2018;8.2558:1-9. Guan L, Collet J-P, Mazowita G, Claydon VE. Autonomic Nervous System and Stress to Predict Secondary Ischemic Events after Transient Ischemic Attack or Minor Stroke: Possible Implications of Heart Rate Variability. Frontiers in Neurology. 2018; 9.90: 1-16. Makats VG, Makats ЕV. Unknown Chinese acupuncture (reality, errors, problems). Vol. І. Vinnytsia: Nilan-LTD; 2016. 276 p.
Makats VG, Makats ЕV. Unknown Chinese acupuncture (biophysical atlas of systemic de­pendency). Vol. II. Vinnytsia: Nilan-LTD; 2016. 204 p.
Muzhikov V, Vershinina E, Belenky V, Muzhi­kov R. Comparative Assessment of the Heart’s Functioning by Using the Akabane Test and Classical Methods of Instrumental Examination. Journal of Acupuncture and Meridian Studies. 2017; 10(3): 171-179. Vargas-Lunaa FM, Perez-Aldaya EA, Huerta-Francob MR, Delgadillo-Holtforta I. Electric Cha­racterization of Skin Near Biological Active Points and Meridians. International Journal of Bioelectro­magnetism. 2010; 12(2): 76-80. Hong Y, Shang H, Yang H, Kong Q, Wang M, Zhang Q. A 3D recognition and projection system for meridians and acupoints, 2017 IEEE International Conference on Bioinformatics and Biomedicine (BIBM), Kansas City, MO, USA. 2017:1357-1363. Hegyi G, Hamvas S, Havasi M, Petrovics G. Dry Needling Stimulation (Acupuncture) - in Evidence Based Medicine. Austin Journal of Nuclear Medicine and Radiotherapy. 2016;3(2):1–9. Muzhikov V, Vershinina E, Belenky V, Muzhikov R. Comparative Assessment of the Heart’s Functioning by Using the Akabane Test and Classical Methods of Instrumental Examination. Journal of Acupuncture and Meridian Studies. 2017;10(3):171-179. Makats VG, Nagaychuk VI, Makats ЕV, Yermishev OV. Unknown Chinese acupuncture (problems of vegetative pathogenesis). Vol. IV. Vinnytsia: Nilan-LTD; 2017. 286 p.
Makats VG, Nagaychuk VI, Makats ЕV. Unknown Chinese acupuncture (problems of functional vegetales). Vol. III. Vinnytsia: Nilan-LTD; 2017. 204 р.
Makats VG, Nagaychuk VI, Yermishev OV. Fundamentals of Functional Vegetology and Phy­siotherapy. Vinnytsia: Nilan-LTD; 2017. 254 p.
Pesqueira T, Costa-Almeida R, Gomes ME. Uncovering the effect of low-frequency static mag­netic field on tendon-derived cells: from me­chanosensing to tenogenesis. Scientific Reports. 2017;10948. Cichoń N, Czarny P, Bijak M, Miller E, Śliwiński T, Szemraj J, at al. Benign Effect of Extremely Low-Frequency Electromagnetic Field on Brain Plasticity Assessed by Nitric Oxide Metabolism during Poststroke Rehabilitation. Oxidative Medicine and Cellular Longevity. 2017;2181942,9. Cichoń N, Bijak M, Miller E, Saluk J. Extremely low frequency electromagnetic field (ELF-EMF) reduces oxidative stress and improves functional and psychological status in ischemic stroke patients. Bioelectromagnetics. 2017;38(5):386–396. Yermishev OV, Petruk RV, Ovchynnykova YY, Kostiuk VV. Functional health of children as an ecological bioindicator of Ukraine. Vinnytsia: Nilan-LTD; 2017. 226 p.
Ciejka E, Skibska B, Gorąca A. 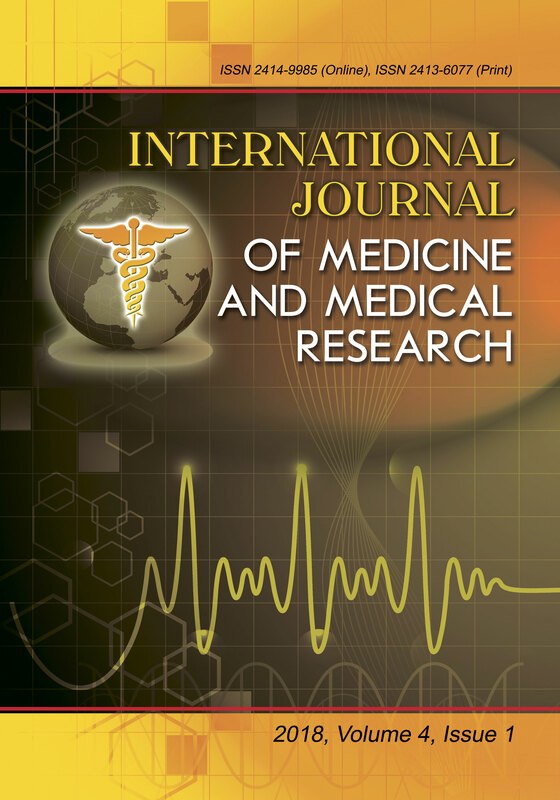 Influence of low frequency magnetic field used in magnetotherapy on interleukin 6 (IL-6) contents in rat heart and brain. Medycyna Pracy. 2017;68(4):517–523. Pasi F, Sanna S, Paolini A, Alquati M, Lascialfari A, Corti ME, et al. Effects of extremely low-frequency magnetotherapy on proliferation of human dermal fibroblasts. Electromagnetic Biology and Medicine. 2016;35(4):343-352. Kraiukhina K, Lobkaeva EP, Deviatkova NS. Effect of the low-frequency impulse magnetic field on the autonomic nervous system in animals. Bio­fizika. 2010;55(4): 20-6. Nagornev SN, Frolkov VK, Kulish AV, Gurevich KG, Puzyreva GA, Samsonova OS. The mechanism of realization of hypotensive action of transcranial magnetotherapy in complex treatment of patients with arterial hypertension. Man and his Health. 2017; 1:5-11. Sayakhov RF, Kildebekova RN, Mingazova LR, Nizamov AK. The effectiveness of physiotherapeutic effects in the treatment of autonomic nervous system disorders. Fundamental Research. 2010;11: 112-114. 1. Authors retain copyright and grant the journal right of first publication with the work simultaneously licensed under a Creative Commons Attribution License CC-BY-NC that allows others to share the work with an acknowledgment of the work's authorship and initial publication in this journal. 2. Authors able to enter into separate, additional contractual arrangements for the non-exclusive distribution of the journal's published version of the work (e.g., post it to an institutional repository or publish it in a book), with an acknowledgment of its initial publication in this journal. 3. Authors are permitted and encouraged to post their work online (e.g., in institutional repositories or on their website) prior to and during the submission process, as it can lead to productive exchanges, as well as earlier and greater citation of published work (See The Effect of Open Access).